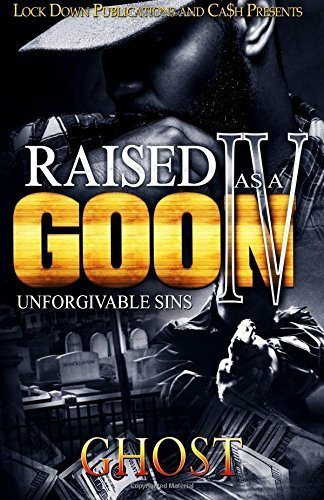 Get this SNX Web Exclusive Books Series : Raised As A Goon 1-3 here at shopSNX.com : the fastest inmate delivery service online! 3 Books for 1 Price! From birth they were taught by their father to have cold hearts and no compassion. Often they were pitted against one another in an effort to determine which brother was strongest and more fit to take over the family's Underworld business when their pops stepped down. Taurus, like his brother, Juice, was Raised As A Goon. When the young killa stepped off of the proverbial porch, the streets weren't ready for the beast he was bred to be. Things quickly get hectic when the many enemies their family has accrued comes for blood the minute their father is out of the picture. But Taurus refuses to fold. With his entire family’s life on the line, and the clock running out, the young goon must win the ultimate game of survival or lose his life by the hands of one from his own bloodline.